I'm eagerly anticipating my Nikon D600 preorder. Meanwhile, Imaging Resource has already posted Nikon D600 sample shots using their standard studio test shot. I used the shots to get a preview of the D600's high ISO performance. 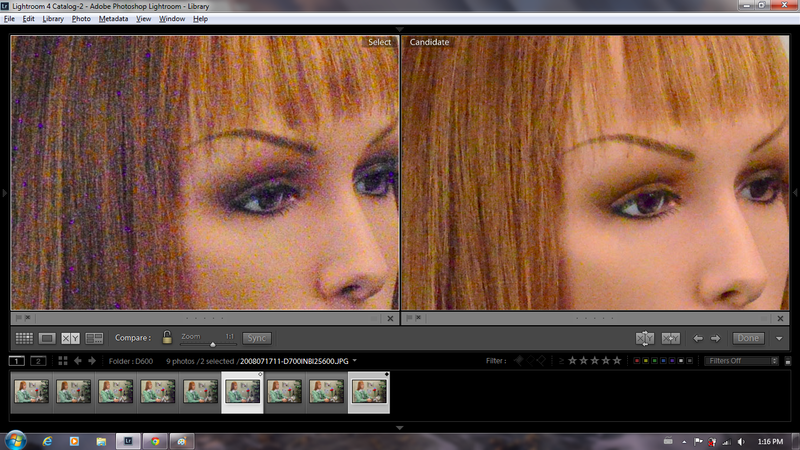 For these comparisons, I looked at the "Indoor Portrait, No Flash" test shots. I used Lightroom to compare the shots side by side without any edits (the D600 shot is on the right, while the shot from the other camera is on the left). 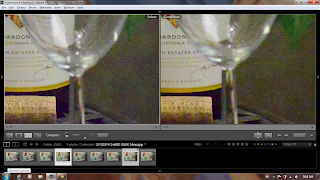 First, I compared images at 25600 ISO. 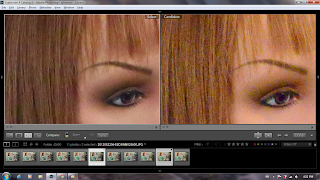 I resized the D600 image to the same resolution as the D700. At this resolution the D600 is far superior to the D700. It has far less noise (both luminance and chroma), and it has more detail. Given the huge difference between the two samples I thought I'd try comparing the D600 at 25600 with the D700 at 12800 ISO. This comparison was much closer, though I would say the D700's noise is 'coarser' so it appears slightly noisier to me than the resized D600. 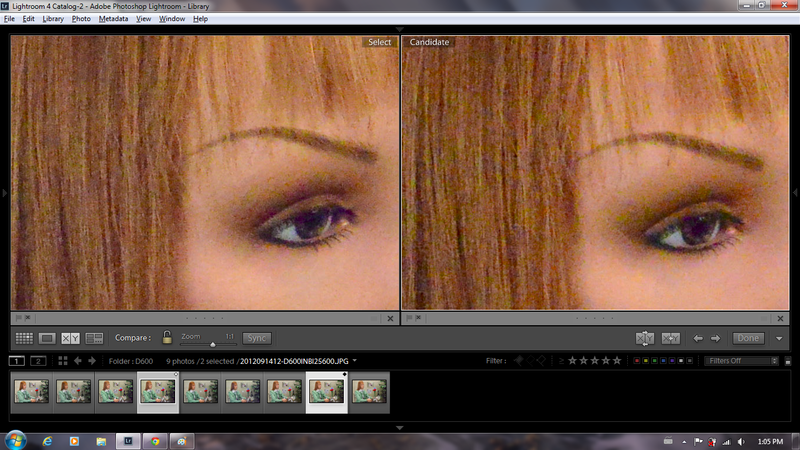 I compared images at 6400 ISO (the highest ISO sample available from Imaging Resource). I used the native resolution for both. The two images are very similar, but the D3X has slightly less chroma noise and is more detailed. Prior to seeing these samples, I thought that the D600's more modern sensor would meet or exceed the image quality of the D3X but to me, the D3X looks slightly better. At this time, the Nikon D3S still has the lowest noise of any full frame camera. I compared images at 25600 ISO. I resized the D600 image to the same resolution as that of the D3S. The D600 appears to have slightly more noise (luminance and chroma, most noticeable in the lower right corner near the plant) but the D600 is also more detailed (hair, nearer eye). 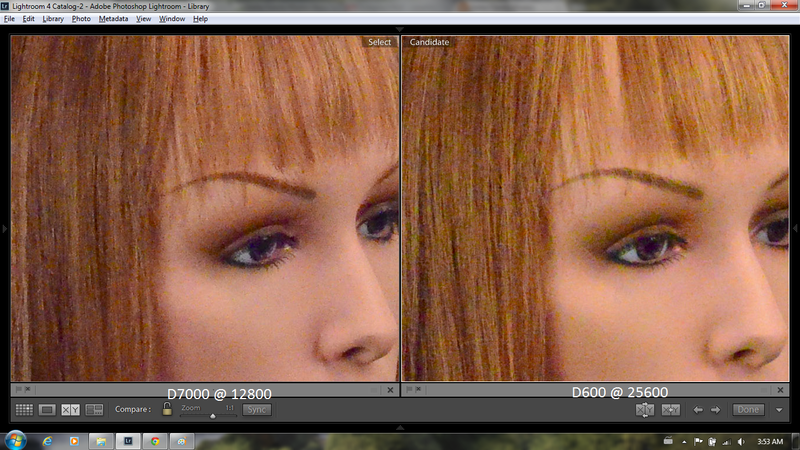 I compared images at 25600 ISO, with the D800 resized to the same 24-megapixel resolution as the D600. At that resolution the D600 and D800 look practically identical both in terms of noise and detail. Out of curiosity, I also compared the D600 with the Canon 5D Mark III at 25600 ISO, both at their native resolution (D600: 24mp; 5d3: 22.1mp). To me, the 5D3 has significantly less chroma noise, and the grain of the luminance noise is finer and looks more pleasant. 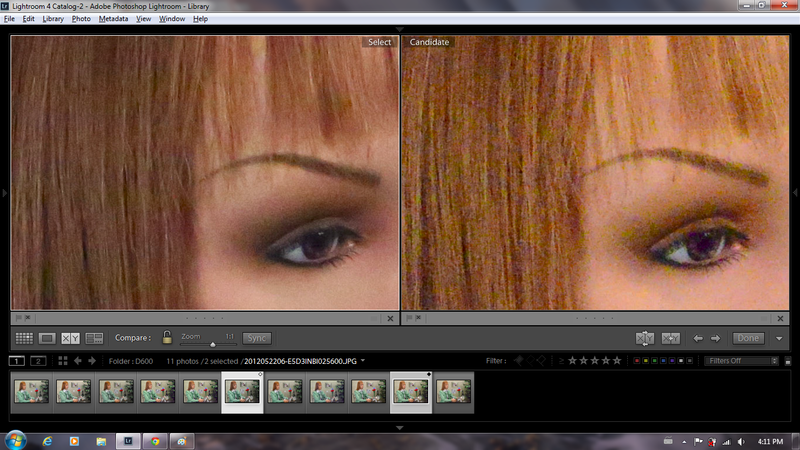 On the other hand, the D600 appears to have slightly more detail (see the hair). This suggests that the 5D3 has stronger noise reduction. 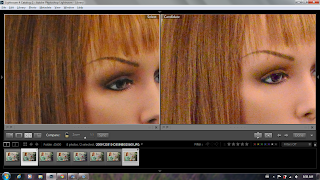 I would be curious to see how the raw files from both cameras compare. The Nikon D600 may be the first full frame camera for some DX owners. I thought I would post some comparisons between the D600 and the current high-ISO champ for Nikon DX cameras, the D7000 (which has the same sensor as the D5100). 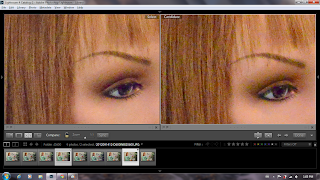 For purposes of this comparison, I resized the D600 shot to the same resolution as the D7000 shot. 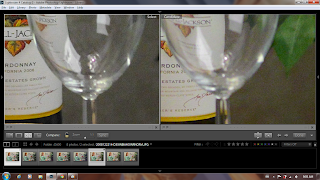 At 25600 ISO, the difference is obvious, as expected. It's here just for reference. 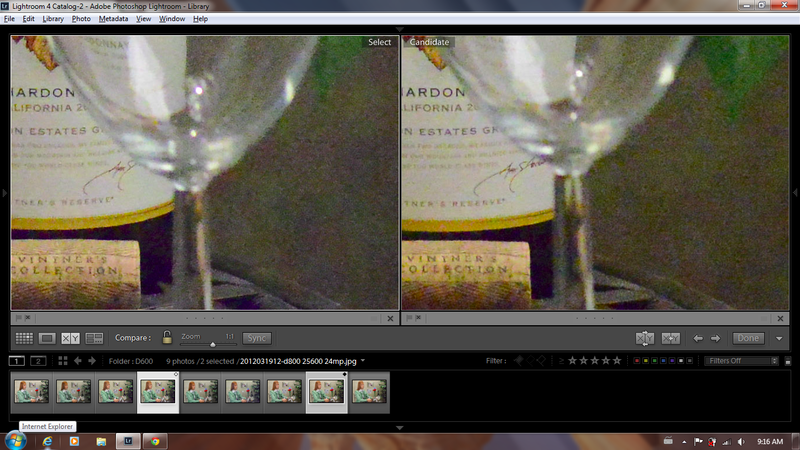 When the D7000 is at 12800 ISO and the D600 is at 25600, there initially does not seem to be a huge difference. However, the D600 has slightly more visible chroma noise in the form of yellow patches (which can be addressed in post-processing). On the other hand, if you look at the hair (a good sample of low-contrast detail), especially on the side, the D600 clearly has much more detail in areas that look smudged in the D7000. 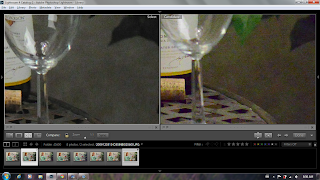 With the D7000 at 6400 ISO and the D600 at 25600 ISO, the D600 has noticeably more chroma noise (again, yellow blotches). As for detail, if you look at the lower eyelashes of the near eye, the D7000 seems sharper. 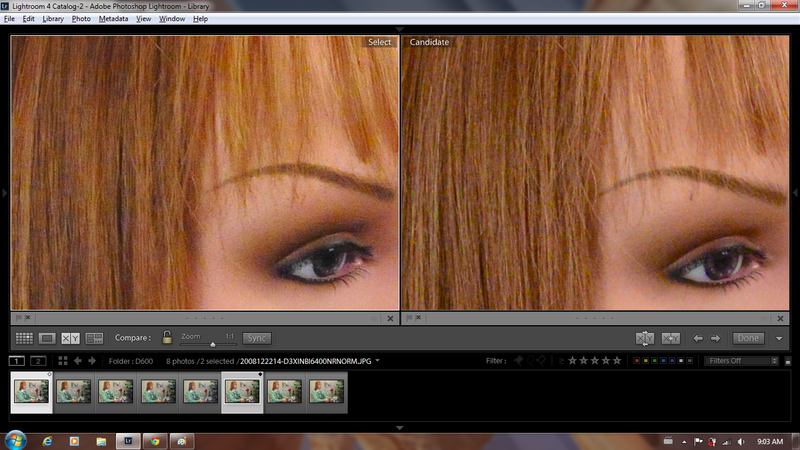 But if you look at the low-contrast detail of the hair, the D600 still has more detail than the D7000. This is only a limited comparison, using one image, at one or two ISOs, and only one or two small sections from that image. I encourage you to check out the other samples from Imaging Resource to draw your own conclusions. As for me, I believe from these samples that the Nikon D600 holds its own against other full frames, and is definitely better than the only other Nikon full frames in its price range -- a used Nikon D700 or a used Nikon D3 (both of which have the same sensor). Note however, that these are only JPEGs, so it will be interesting how the raw files compare in Lightroom. In addition, noise is just one aspect of image quality. I am also very interested in the dynamic range, for example. 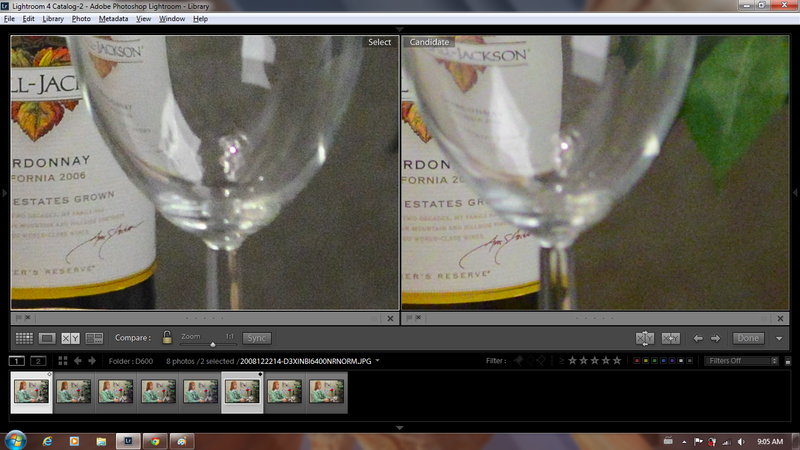 Nonetheless, so far, I am optimistic about the Nikon D600's image quality. Hi! Thanks for that suggestion. I was thinking about that but I was worried that if I put that screen capture through a raster editor like Photoshop or Picnik, and the program saves the file, it would degrade it. Maybe I am wrong but I wasn't sure. Anyway what I did to make it easier is just to put the D600 on the right side for all of them. As a compromise, I'll put this in the caption to clarify. Thanks again. Why did you use Lightroom? To open a Nikon NEF is better CaptureNX. As to open a Canon-raw is better the Canon-software "Digital Photo Professional". Anyway the D600 is a GREAT camera, better than the D700. And may better than the 5DmkII and the 5DmkIII(which is nothing really new but the same old 5Dmk2 with a new auto focus). Hi you are right about the raw files. I was only looking at JPEGs, so I think using Lightroom was not a problem. If I have time I might re-do this comparison using raw files. I agree the D600 is an awesome camera, far better than the D700. From samples of the 5D2 that I've seen, I believe the D600 has significantly better image quality than the 5D2 which is not surprising given that the 5d2 is already 4 yrs old. 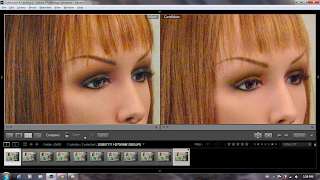 As for the 5d3 I haven't done a detailed comparison but my impression is that they are comparable. nice comparission, thanks for your help, i bought last week my new d600!! If you did that the issue is that your results may be specific to your workflow. Someone else who uses a different workflow could not necessarily draw the same conclusions as yours. So, while your suggestion may be the most "fair" one, it would have maximum utility for a much smaller population. Great review/comparison on the D600 - thank you. What I love is how a $2k camera (D600) is being compared to cameras more than twice its price. The D3X was like $8k when it came out, so this tells me that sensor technology has really improved in the key few years. I've been shooting my D600 and love it. In fact, I sold my D700 and D3 and now have 2 D600s. Much love from Chicago. Hi Otto. Yes the D600 is amazing isnt it? I also replaced my D3 with it and am very happy with the D600 - so many improvements! I sold the D3 before I could get the D600 which was perhaps not wise but turned out to be the correct decision. The D600 is so much better. Glad to know you feel the same way!